This Just Policy Blog is a repost from the Campaign for Youth Justice Blog originally posted Wednesday, November 20, 2013. 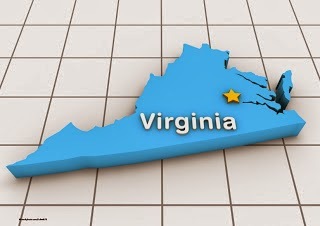 Last week, the Justice Policy Institute released a new brief titled, “Virginia’s Justice System: Expensive, Ineffective, and Unfair.” The brief examines trends in incarceration in Virginia, delving into topics such as racial disparity and drug laws. According to the brief, Virginia has the 8th highest incarceration in the United States, making it even more pertinent that these disparities be addressed. During Governor Allen’s tenure, prisons in Virginia have become even tougher, and have earned a reputation for being one of the most severe systems in the United States. Over-incarceration has contributed to this reputation and has serious consequences for communities and taxpayers in Virginia. The increased use of incarceration has been justified by the goal of reducing crime through the incapacitation of law-breakers. However, this comes at the expense of disproportionate incarceration of African Americans and African-American youth. The brief reports that the cost to incarcerate a young person in a juvenile facility is approximately $100,000 per year. Virginia’s policies on juvenile justice falls behind those of other states; youth as young as 14 year- old can be transferred to criminal court for certain offenses, and in some cases, the transfer is automatic. According to the brief, Virginia is unnecessarily transferring many of these youth to adult court: a majority of these adolescents do not receive sentences requiring placement in adult prison. Also highlighted in the brief are some positive trends, as well as suggestions for improvement of juvenile justice proceedings. Overall, the number of incarcerated youth in Virginia has declined from 2001 to 2010. This shows some progress toward the goal of creating community based programs in Virginia. The brief suggests that juvenile justice resources showed be allocated toward therapeutic model of residential, close-to-home facilities for when confinement is necessary. This is in response to research which demonstrates that youth respond better to environments where educational and social needs are met. Take Action Today! Sign a petition urging Governor George Allen to do more to protect juveniles from sexual assault in adult jails and prisons, click here for more information. Also check out CFYJ's newest report, State Trends 2013, as we take a look at states that have, and are taking steps to remove children from the adult criminal justice system. Christine is CFYJ's Communications Fellow and a student at American University.